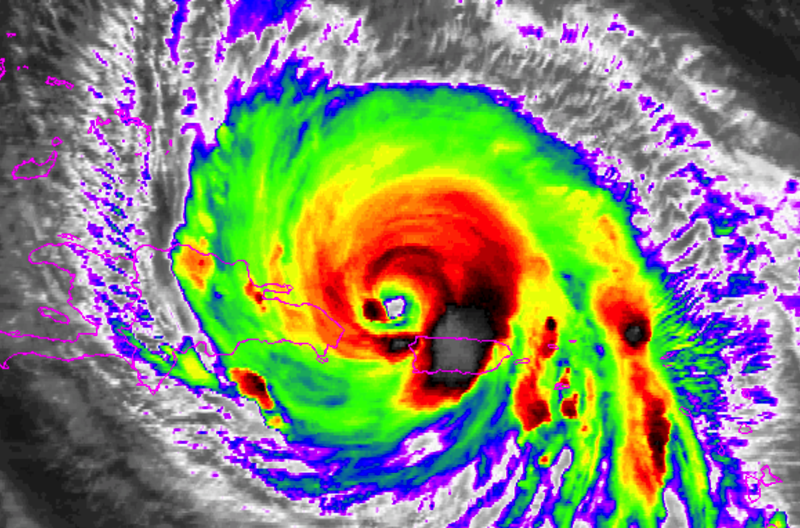 The mountains of Puerto Rico pretty well tore Maria apart but from satellite images, it appears to be regains organization and, likely, strength. 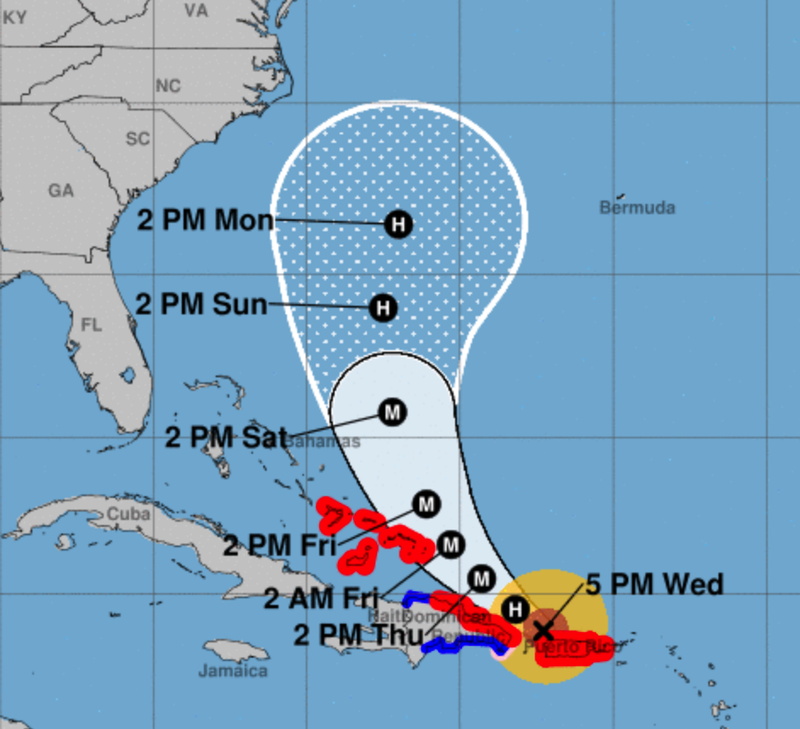 Maria has taken a bit of a westward jog and it looks like it will move over or very close to the coast of the Dominican Republic. With the likely intensification, people in the DR will need to prepare for a major storm. 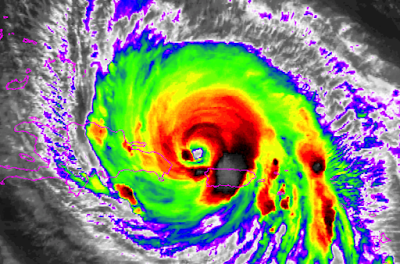 Haiti will feel the outer effects but is not going to suffer a direct hit. Here is the 5-day hurricane forecast. I was asked on the air this afternoon, and elsewhere, whether I knew Florida was safe from Maria. I am. 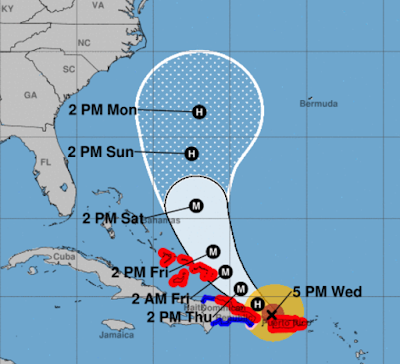 I believe it is unlikely Maria will hit the United States but the effects of Tropical Storm Jose´ interacting with Maria make this forecast a bit tricker than usual. Besides, our ability to forecast hurricanes beyond about five days is marginal at best. So, relax for now and if you live in the Northeast, I'll let you know if/when it is time to be concerned.